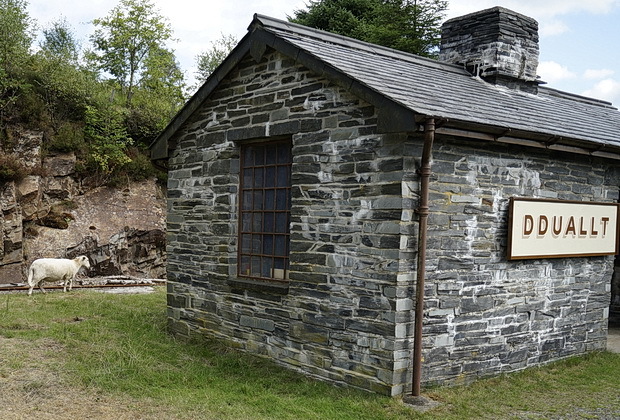 Here’s some photos from a recent visit to the slate mining town of Blaenau Ffestiniog in north Wales, with our day trip taking in a journey on the Ffestiniog Railway to Tan-y-Bwlch and back. 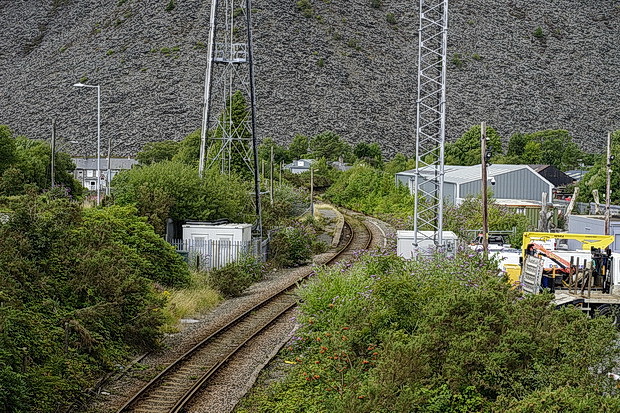 When you arrive in Blaenau Ffestiniong by train you’re taken aback by the sight of vast canyons and mountains of waste slate. 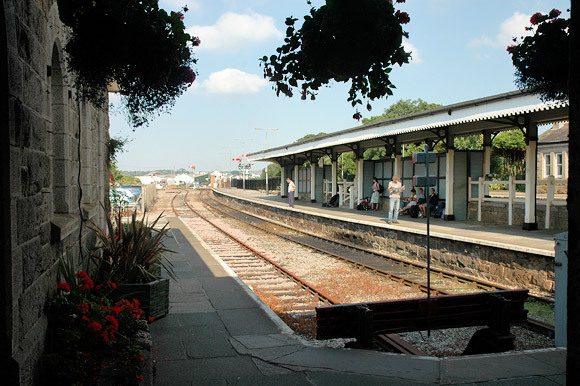 The station has platforms for both the branch line from Llandudno Junction and the steam-operated, narrow gauge Ffestiniog Railway to Porthmadog (to the left). 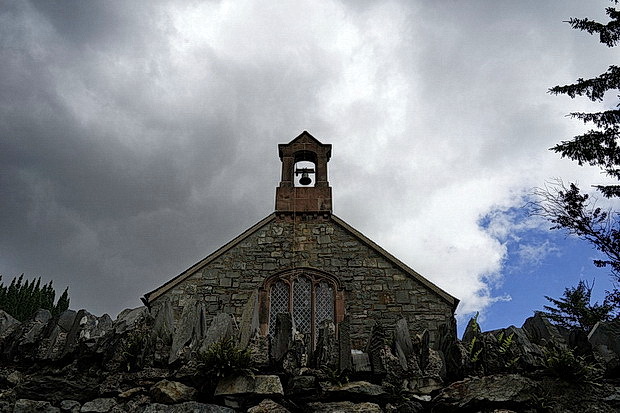 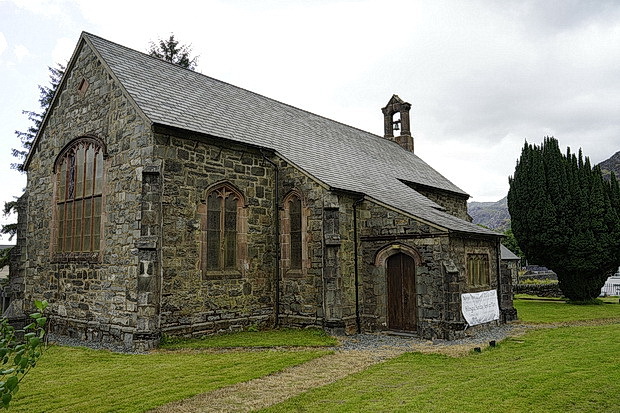 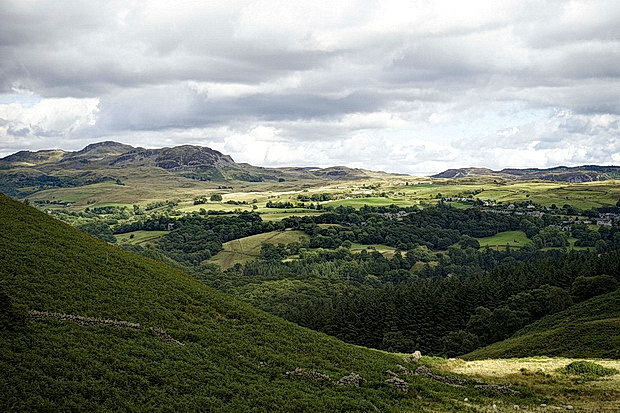 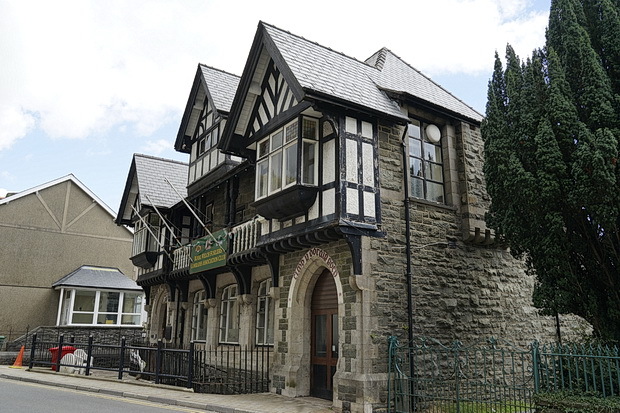 We took a quick walk around Blaenau Ffestiniog, which now has a population of 4,875 according to the 2011 census, which includes the nearby village of Llan Ffestiniog. 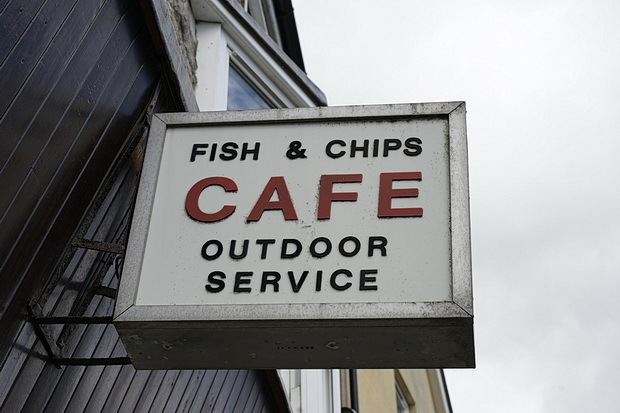 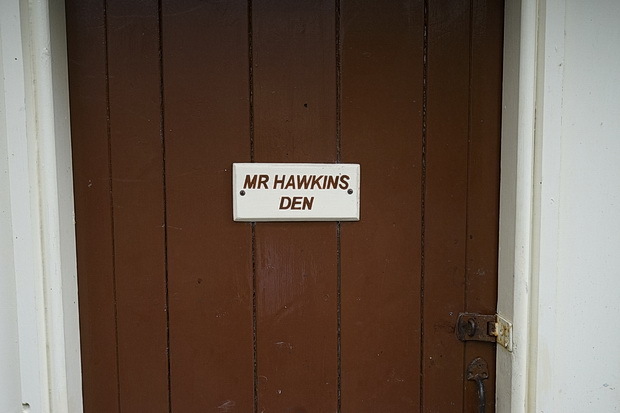 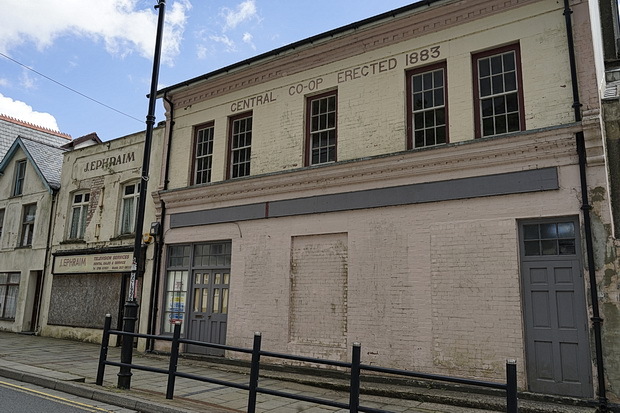 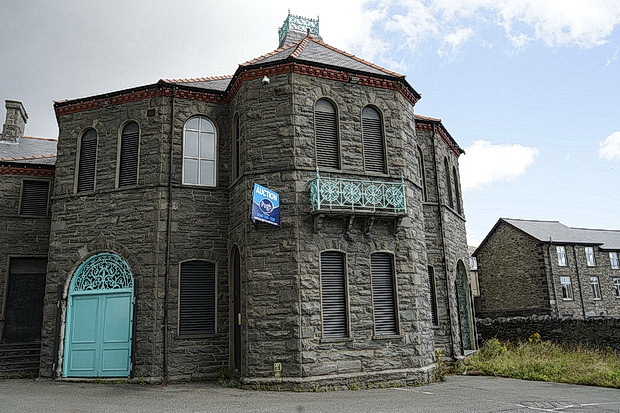 It was once a far bigger town with 12,000 residents during the peak of the slate industry. 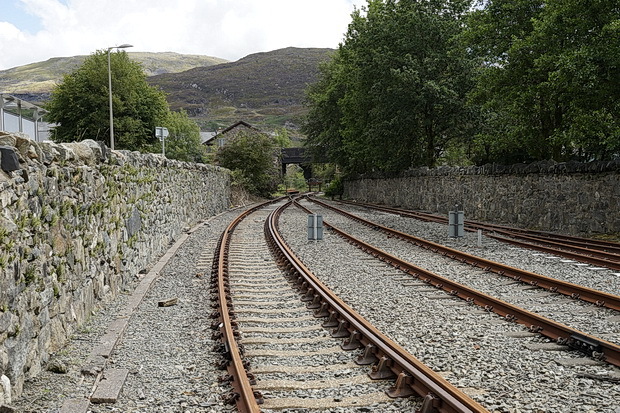 Rail routes out of Blaenau Ffestiniog. 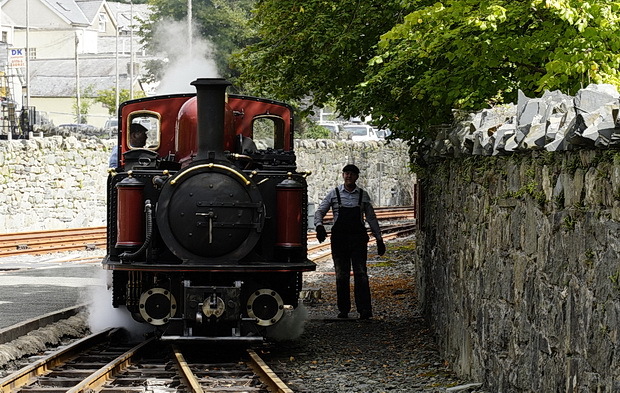 Getting ready to depart the station on the Ffestiniog Railway. 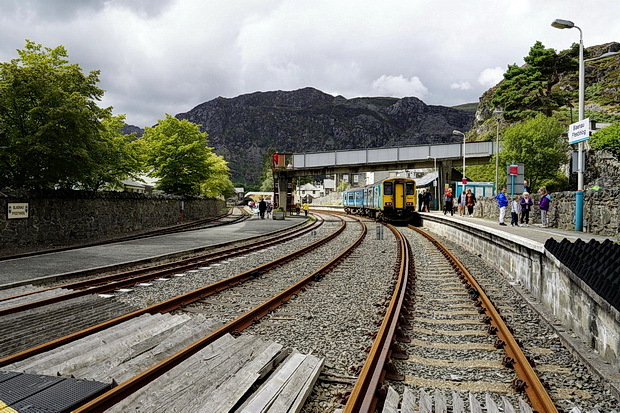 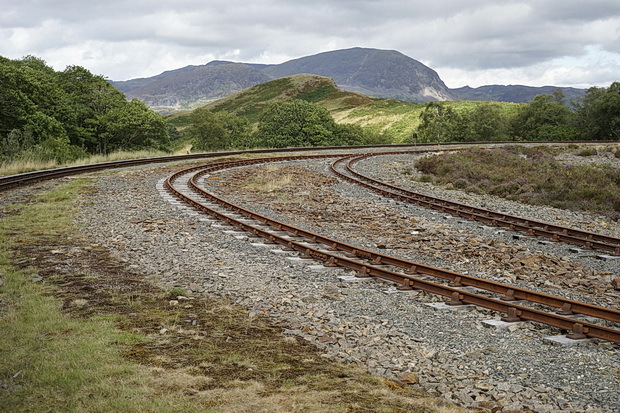 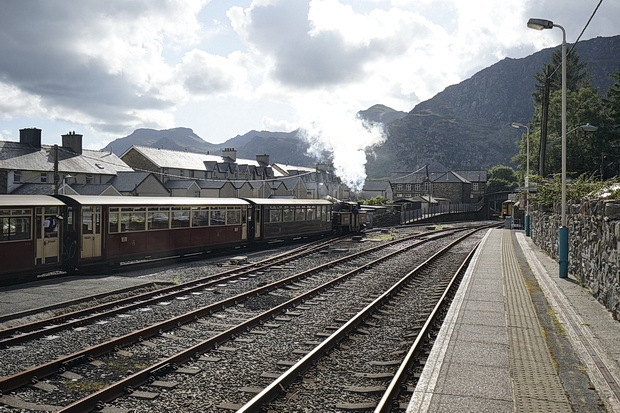 Opening on the 20th April 1836, the Ffestiniog Railway is a 1 ft 11 1⁄2 in (597 mm) narrow-gauge heritage railway, located mainly within the Snowdonia National Park. 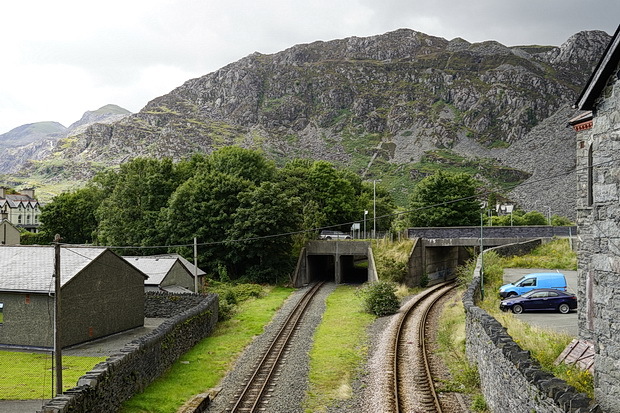 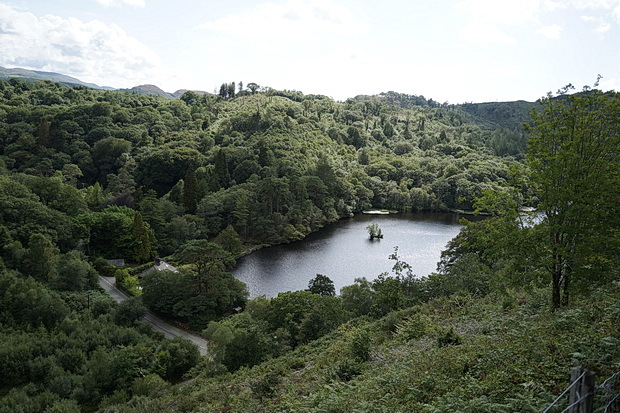 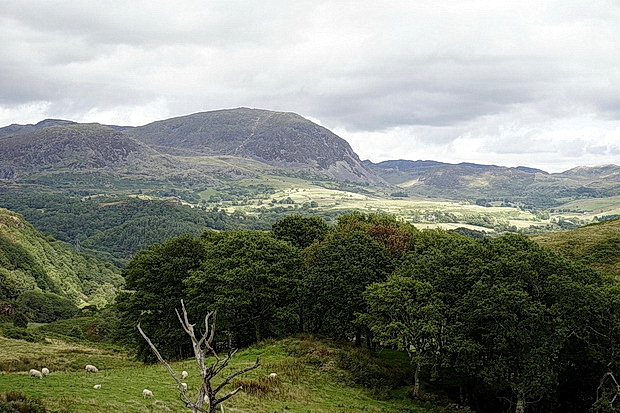 Running from the harbour at Porthmadog to Blaenau Ffestiniog, the 13 1⁄2 mile (21.7 km) line travels through forested and mountainous scenery. 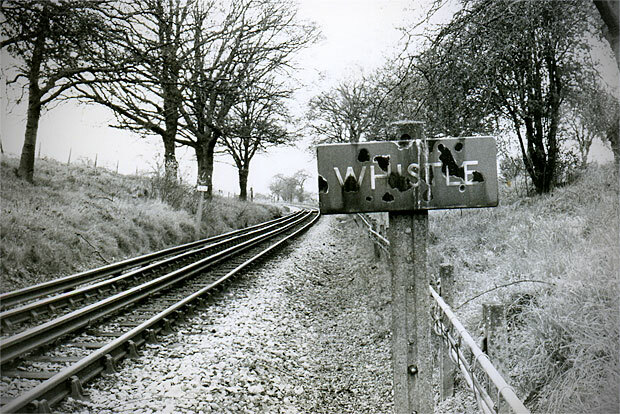 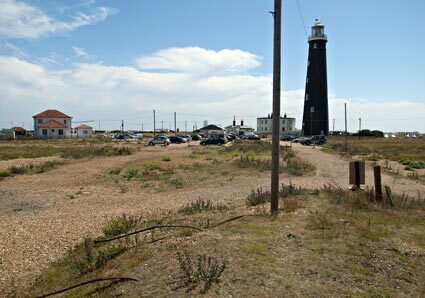 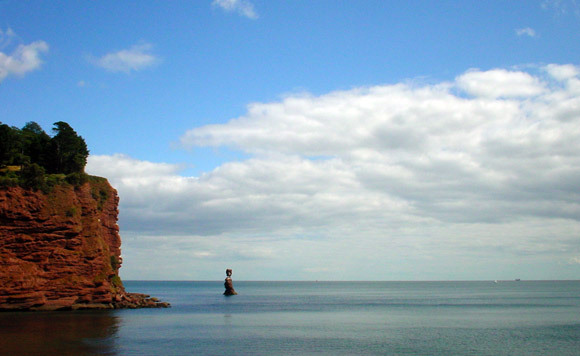 The line closed on 1st August 1946, but was reopened in sections from 1954, with the whole line reopening in 1982. 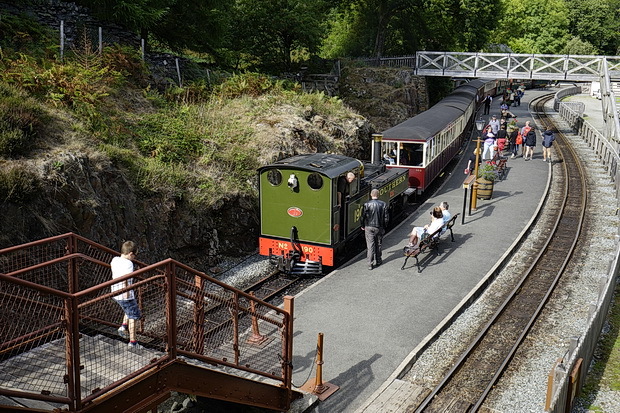 The Festiniog Railway Company which owns the railway can claim to be the oldest surviving railway company in the world. 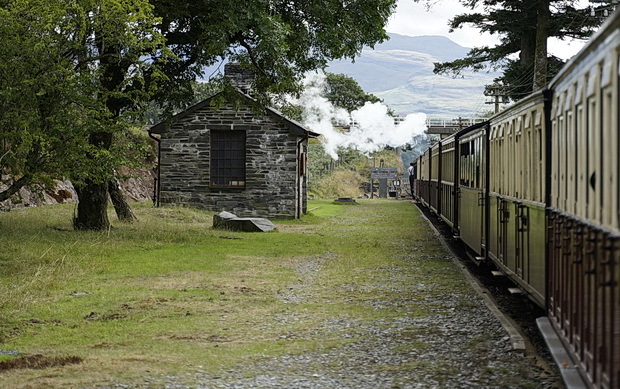 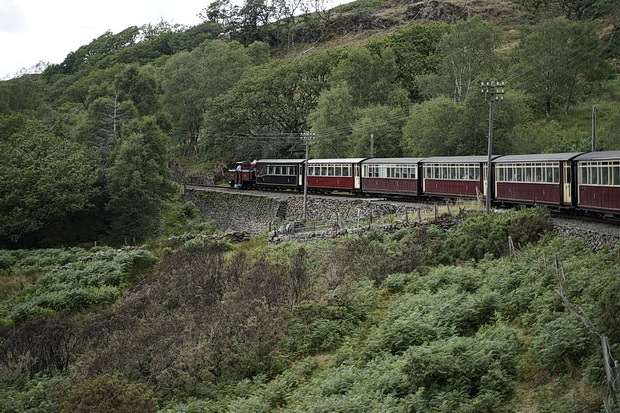 The company also owns the equally scenic Welsh Highland Railway, which was re-opened fully in 2011. 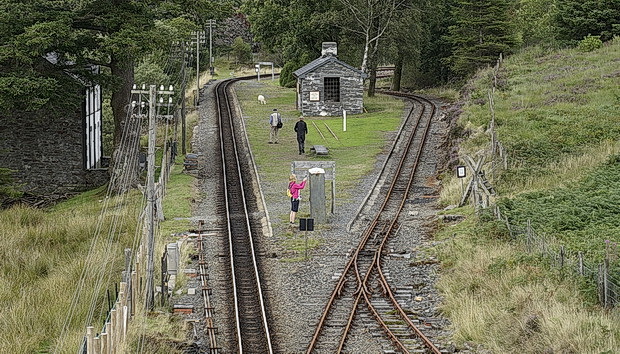 Passing above Dduallt station before the train loops down into the platform. 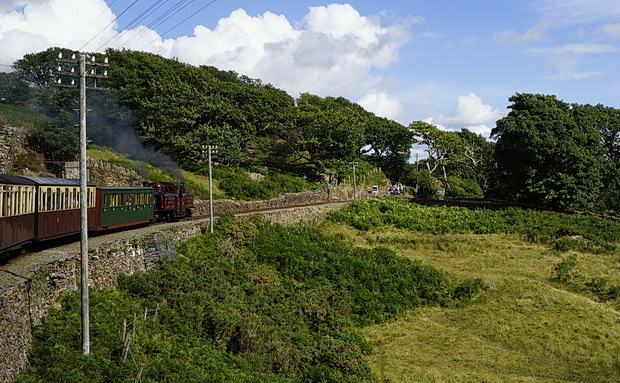 Winding through the valleys on the ascent to Tan-y-Bwlch station. 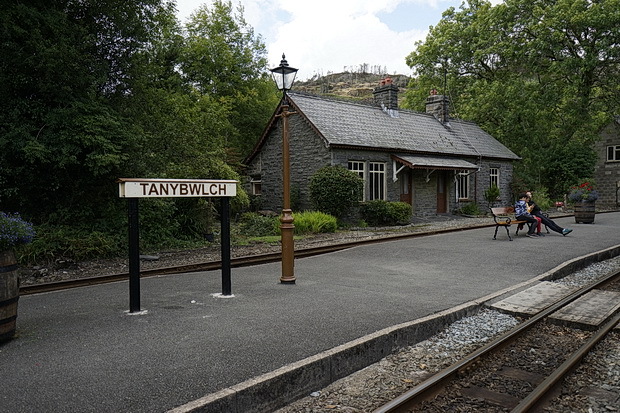 Arriving at Tan-y-Bwlch railway station, just under 7.5 miles (12.1 km) from Porthmadog. 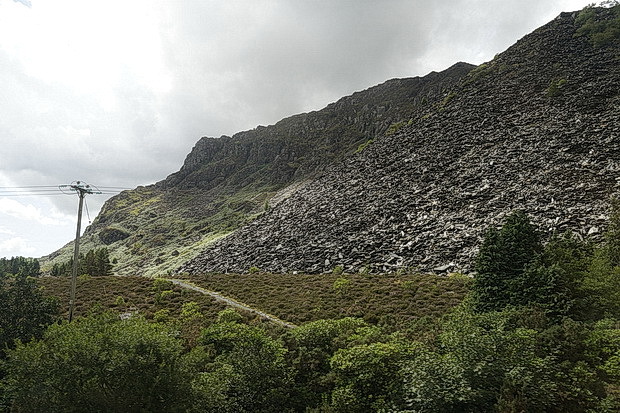 We didn’t have time to traverse the full route. 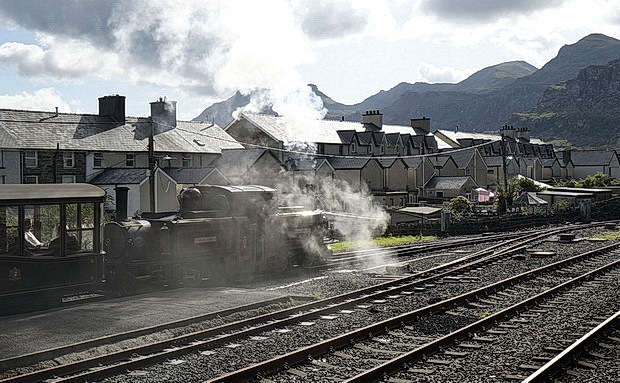 The Porthmadog train gets ready to depart. 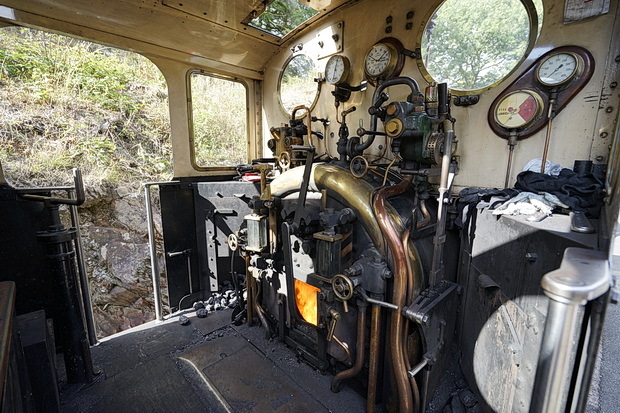 A look inside the loco. 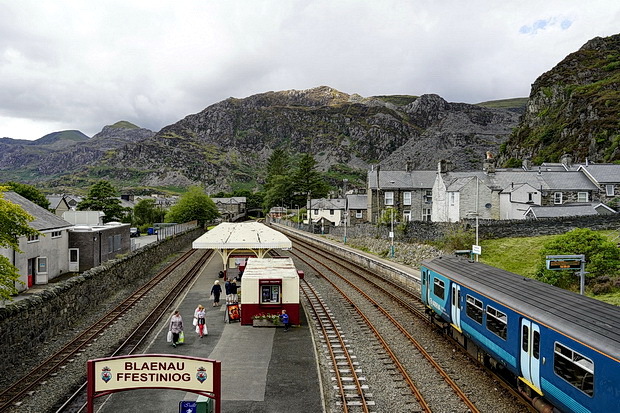 Arriving at Blaenau Ffestiniog station. 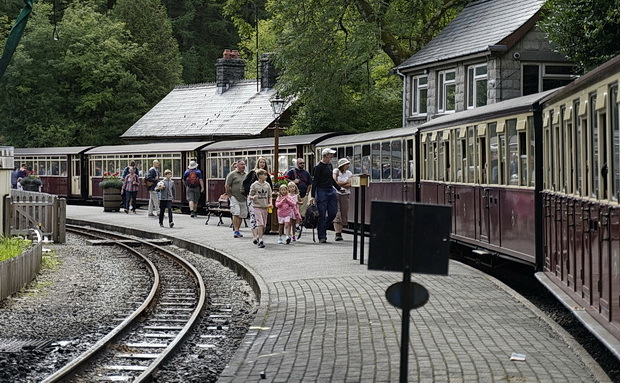 Train ready to depart to Portmadog. 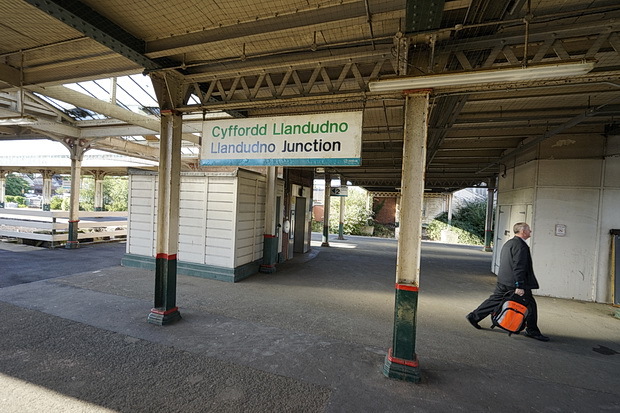 We caught the branch line train back to Llandudno via Llandudno junction. 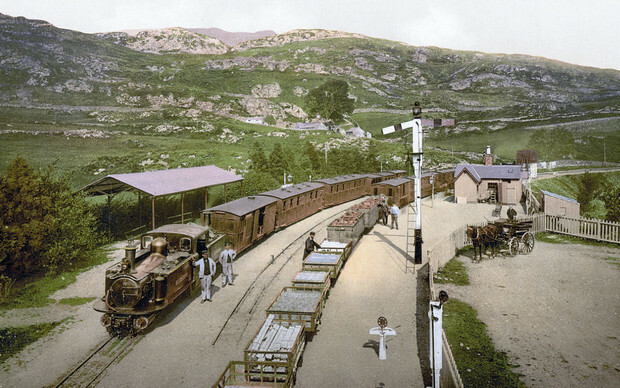 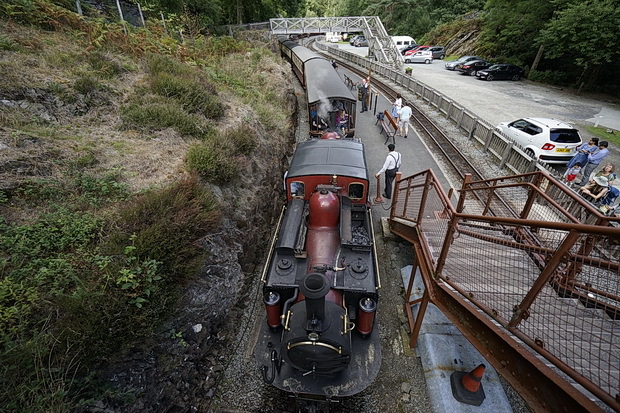 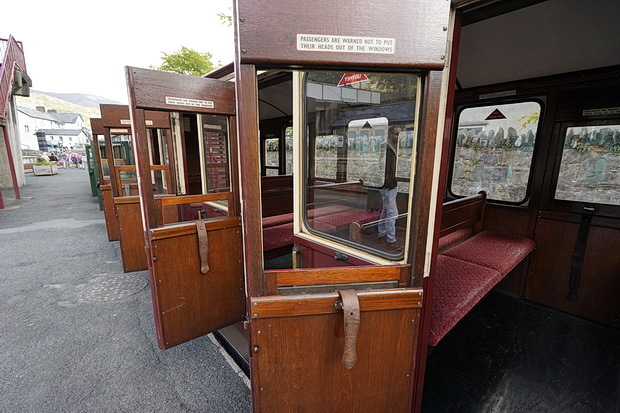 Chat about the Ffestiniog Railway and Blaenau Ffestiniog on our forums.